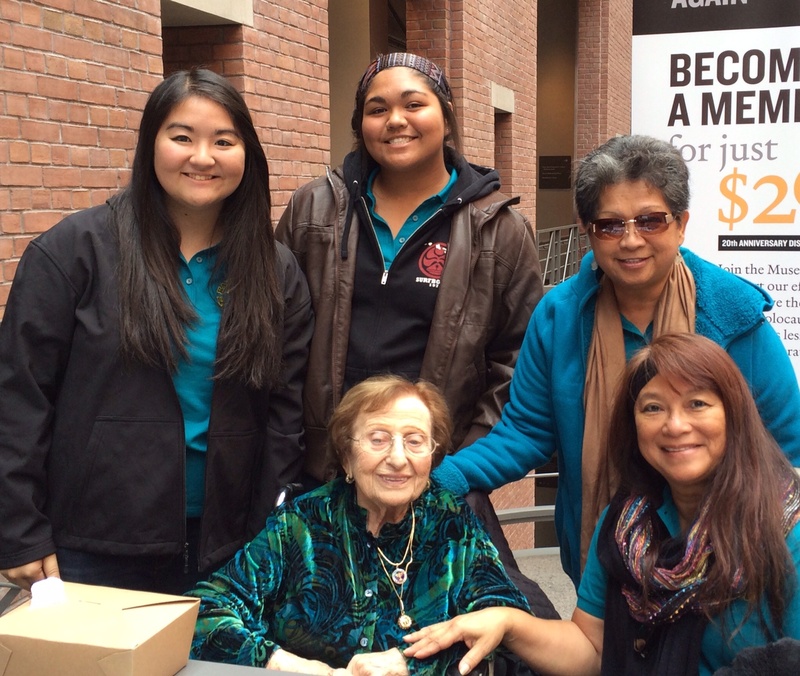 KRHCAI Student Interns and Chaperones visit Holocaust Museum « Ka'u Rural Health Community Association, Inc.
Pictured above: Student Interns Kamrie Koi and Nysa Kaniho pause to take a picture with 97 year old Auwsticz survivor, Fanny Aizenberg. Chaperones Jessie Marques and Donna Kekoa also stand with interns. 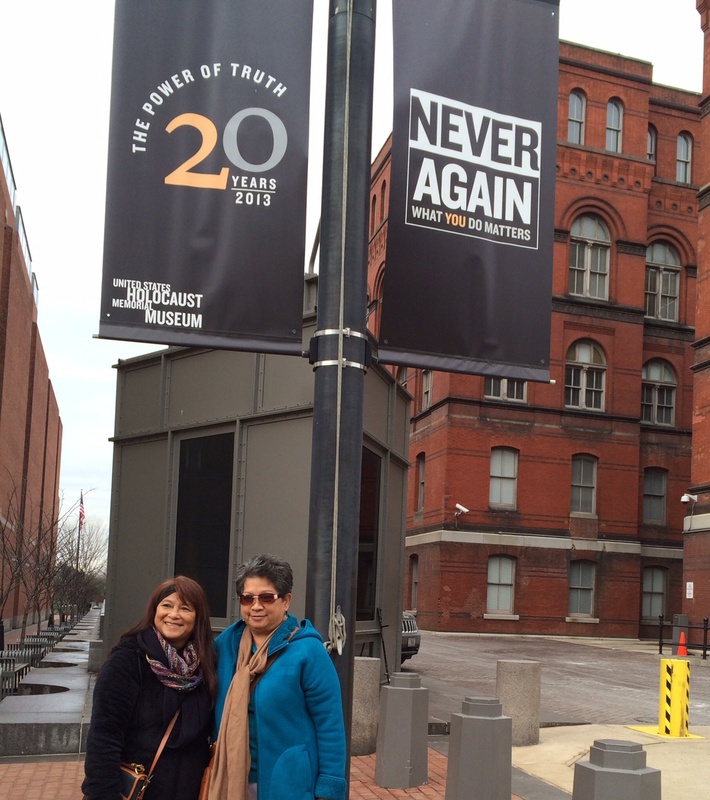 Pictured below: Jessie Marques and Donna Kekoa stand outside the Holocaust Musuem. Students and chaperones will take in the 25th Annual National Rural Health Policy Institute in Washington D.C. Feb 4-6.